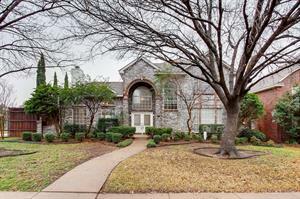 Spectacular 4 bed, 2.5 bath, 2420 sq. 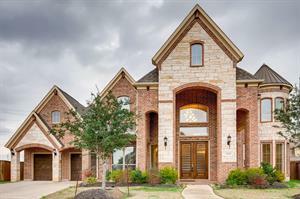 ft home in Allen, TX! Open and spacious floor plan. Breathtaking kitchen with lots of cabinets and plenty of granite counter space. Elegant formal dining room and breakfast areas. Spacious master suite and secondary bedrooms. Huge game area with custom builtins. Be sure to schedule your showing today! I you want a pool to cool off in in the summer this is the home for you. This beautiful 3 bedroom 2 bath home is great for entertaining, with it's large kitchen which has a gas cook top double ovens for those large meals, granite counters and lots of storage space. The home also has tile and carpet throughout, two living rooms and two dining room and the secondary bedrooms have a jack and jill bathroom. Master bedroom is large as is the master bath with separate shower and garden tub. 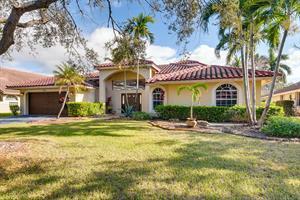 Make yourself at home in this stunning 5 bedroom, 4 bathroom, 3,927 sq. ft. home in Richmond that has everything you've been searching for! This open layout home features a massive kitchen with granite counter tops, tons of cabinets and counter space, and eat in breakfast area. Relax in the spacious family room, or entertain in the formal dining and living area. The gorgeous master suite features spa like retreat with dual sinks, luxurious tub, and separate shower. Large and spacious secondary rooms and huge game room! Enjoy those warm summer days in your private yard with tons of space! Be sure to schedule your showing today! 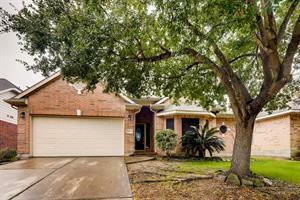 Welcome home to this fantastic 3 bed, 2 bath, 2,288 sq. 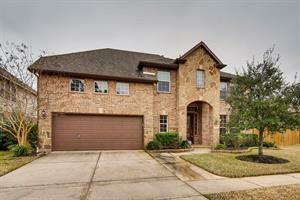 ft. home in Humble, TX! Open floor concept. Spacious living room with cozy fire place. Elegant formal dining room. Lovely island kitchen with lots of cabinets, plenty of counter space. Breakfast area and breakfast bar. Master retreat features dual vanities, a luxurious tub and walk in shower. Huge secondary rooms. Nice back yard. Be sure to schedule your showing and make this your next home today! 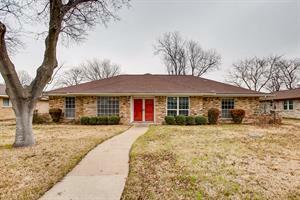 Beautiful 4 bed, 2 bath, 2,080 sq. ft. home in Spring, TX! Open and spacious floor plan. Lovely kitchen with granite counter tops and lots of cabinets. Breakfast area and breakfast bar. Cozy living room with a wonderful brick fireplace. Elegant formal dining room. Over sized master retreat features dual vanities. Huge secondary rooms. Private yard with plenty of room to play! Be sure to schedule your showing and make this your next home today! Welcome home to this fantastic 4 bed, 4 bath, 3,277 sq. ft. home in Spring, TX! Open and bright floor plan with soaring ceilings. Lovely island kitchen features lots of cabinets, plenty of counter space. Breakfast area and breakfast bar! Elegant formal dining room. Fantastic master suite features double sinks, cornered luxurious tub, walk in shower. Huge secondary rooms. Spacious media room. Large back yard. Be sure to schedule your showing and make this your next home today! Professionally managed by Pathlight Property Management, the exclusive property manager for Home Partners of America, offering excellent customer service, 24/7 emergency maintenance service, online application and payments, and pet-friendly options. HOA occupancy restrictions may apply. Welcome home to this spectacular 5 bed, 3 bath, 2,810 sq. ft. home in Bradenton, FL! Open and bright floor plan. Spacious living room with a elegant formal dining room. Lovely island kitchen features lots of cabinets and plenty of counter space with a breakfast area. Amazing master suite features dual vanities, luxurious tub. Huge secondary rooms. Be sure to schedule your showing and make this your next home today! Professionally managed by Pathlight Property Management, the exclusive property manager for Home Partners of America, offering excellent customer service, 24/7 emergency maintenance service, online application and payments, and pet-friendly options . Hard to Find Single Family in Brookside*Large 4 Bedroom Home*Vacant & Ready to Move in*Home features Courtyard Pool with Patio*Vaulted Ceilings throughout*Kitchen opens to Great Room*Master Bedroom features Luxury Bath & 3 Closets*Oversized 2 Car Garage with Storage*Kitchen features Granite Countertops, Stainless Steel Appliances & Island*Split floor plan*Community close to schools, parks & shopping. PERSONAL BACK YARD RETREAT WITH POOL & DECK & GAZEBO PLUS A SEPERATE GRASS YARD! 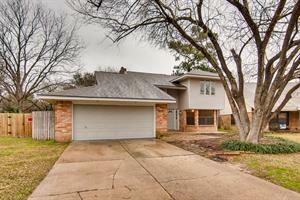 THIS HOME BOASTS CARPET, TILE, HAND SCRAPED WOOD FLOORS, GRANITE, MARBLE, & HUGE ROOMS! 2ND MASTER BDRM! BLUE RIBBON SCHOOLS! Welcome home to this spectualr 5 bed, 3.5 bath, 4,104 sq. 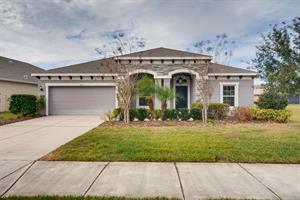 ft. home in Ocoee, FL! Lovely island kitchen features plenty of counter space and lots of cabinets. Breakfast area and breakfast bar. Huge open living room with elegant formal dining room. Additional living area upstairs. Over-sized master features dual sinks, cozy tub and walk in shower. Spacious secondary rooms. Large back yard area with plenty of room to play! Be sure to schedule your showing and make this your next home today!